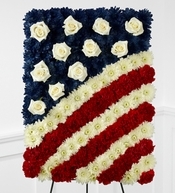 Dallas Funeral Homes Listing Dallas, TX Funeral Homes and Florist Serving Flower For Restland Funeral Home Dallas, Sparkman Hillcrest Funeral Home Dallas, Laurel Land Funeral Home Dallas,Grove Hill Funeral Home Dallas, Laurel Land Funeral Home Dallas (TX), Rhoton Funeral Home Carrollton, Resthaven Funeral Home Rowlett, New Hope Funeral home Mesquite, Golden Gate Funeral Home Dallas, North Dallas Funeral Home, Black & Clark Funeral Home, Anderson Clayton Bros Mesquite TX, Laurel Oaks Mesquite TX, Eastgate Funeral Home Garland, Williams Funeral Home Garland, Ben F Brown's Funeral Home Irving, Jaynes Funeral Home Duncanville, Ted Dickey Funeral Home plano, etc. Same-Day local and Nationwide Delivery. Send Funeral Flowers Dallas Texas.